Laser Plumbing Mairangi Bay provides a wide range of plumbing services for around the home, servicing the greater Auckland area including Albany, Mairangi Bay, Takapuna, North Shore and Birkenhead. Our highly qualified and experienced plumbers can provide you with all the services you would expect from a reliable plumbing contractor. Laser Plumbing Mairangi Bay is your local expert in hot water systems, roofing and gutters, plumbing maintenance, repairs and installations. Our goal is to minimise your stress by providing a plumber who shows up on time, is well presented, professional and carries out your job with care and skill. Through innovation, planning and use of quality systems we take pride in providing you with the highest level of customer service. 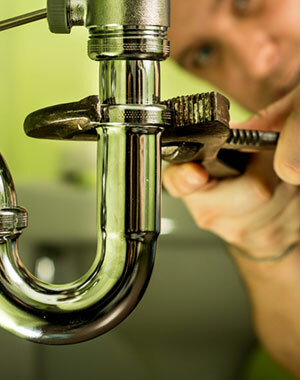 We have a highly qualified and experienced team that can provide complete plumbing services to you and your family. We provide you with a real and honest service at a fair price, backed up by good quality workmanship. Need a plumber that’s ‘Totally Dependable’? Please contact Laser Plumbing Mairangi Bay to discuss your requirements.